From the wonderfully warped mind of Emmy® winner Seth MacFarlane (Family Guy, Ted) comes this witty live-action sci-fi series. Thrust into his new position as commander, Captain Ed Mercer (MacFarlane) thrusts into space — aboard the explorer ship the USS Orville. Joined by his first officer ex-wife (Adrianne Palicki) and an intergalactic crew, he grapples with everything from a planet-absorbing space anomaly to an overly amorous, gelatinous engineer (Norm MacDonald). 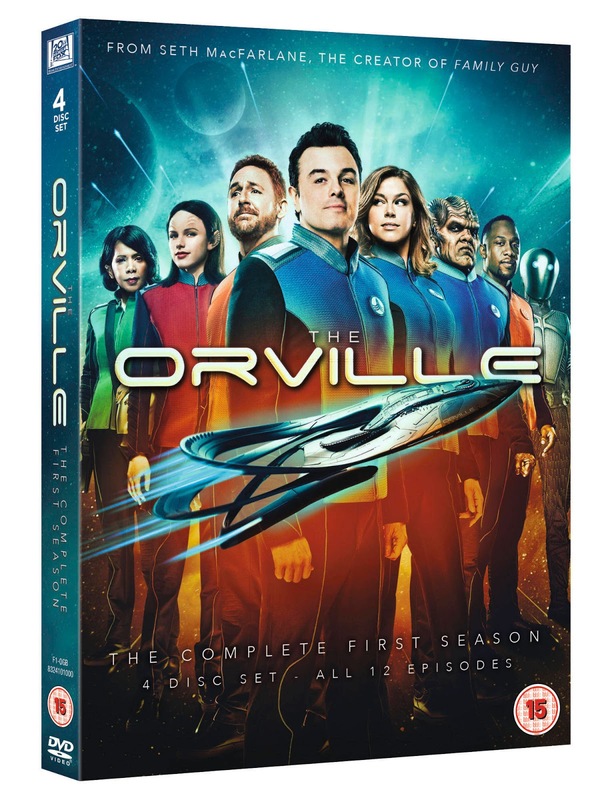 With its wry humour, insightful social commentary and brilliant ensemble cast, including Penny Johnson Jerald, Scott Grimes, Peter Macon and Halston Sage, The Orville is one of the freshest shows ever to enter our atmosphere. The Orville boasts a visual style rivalling anything else on TV. From its high quality sets that bring the titular ship to life, incredible special effects, and a calibre of talented guest stars like Liam Neeson (Taken), the presentation of The Orville is as high quality as its execution. Fans of Sci-Fi adventure and MacFarlane’s brand of comedy alike will find a lot to love in this uniquely fun show that’s already set for a second season. The only question is, when will you join the Orville’s crew? The Orville: The Complete First Season will be available in the UK on DVD 8th October 2018 from 20th Century Fox.